AJ McLean, whose career is at a whirlwind high because of his upcoming solo record, Long Road, and the new album Backstreet Boys DNA, has faced many nights away from home. Everyone is not happy about it. The musician, 41, revealed that he has received a heartbreaking text from his daughter, Ava Jaymes McLean, 6, that made him cry last week. 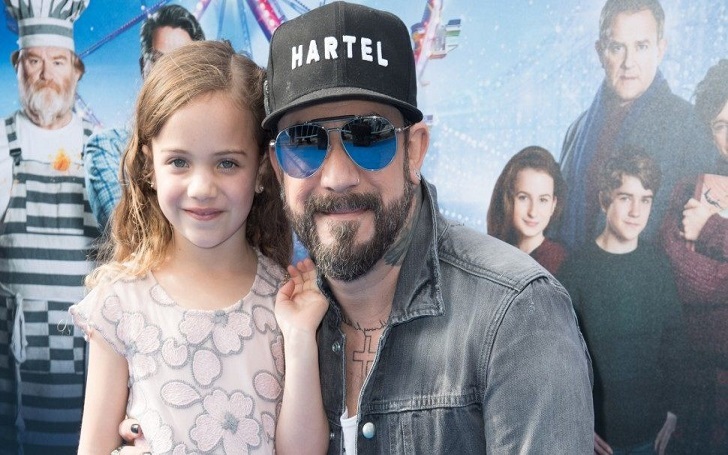 During ACM Awards 2019 in Las Vegas, on Sunday, McLean told Entertainment Tonight's Sophie Schillaci and Cassie DiLaura, Ava "had Mommy send Daddy a text saying, ‘Can you stop being a Backstreet Boy and just be my dad?’"
He added, So take this out, step on it, stab it, burn it and then do it again!" Mommy gets to be home, which I try to explain to my girls -- ‘Be thankful Mommy and Daddy are both not working. Mommy gets to be there, but Daddy always, always comes home. This is not the only moment from kids which has made him emotional in recent days. McLean kicked of ACM Awards 2019 weekend with a party on Friday, where he performed Give You Away from his upcoming record. McLean also shares a 2-year-old daughter, Lyric Dean McLean, with his wife, Rochelle DeAnna McLean. An onlooker told the outlet, "He started crying as soon as he introduced it. It was super sweet!" McLean admitted to ET that he is "a pretty emotional guy for sure." [The song’s] about my daughters -- about the day I have to give them away on their wedding day. I did it on Friday night and barely made it through … bawled like a baby. I love my girls. He then explained that he "broke down before he even sang the first line", adding that he "barely made it through the song but I did." McLean, who previously went to rehab after suffering from drug and alcohol addiction, became married with Rochelle in 2011.